In the first days of September, at least 30 women who had been elected as mayors or deputies in the elections of last July 1 submitted their resignation to the Institute of Elections and Citizen Participation (IEPC) of Chiapas. It is feared that they were forced to do so, so as to open the possibility for their positions to be occupied by men. Although they argued that they did so voluntarily, the IEPC has expressed its concern, fearing that these are cases of political violence against women, so the Provisional Commission for Gender Equality and Non-Discrimination will analyze the situation and the reasons for the mass resignations. So far, those who have resigned are women from the Green Ecologist Party of Mexico (PVEM) of the Tuxtla Chico and Mapastepec municipalities; of Nueva Alianza in Frontera Comalapa; and from the local party Podemos Mover a Chiapas in Suchiapa. In the municipality of Frontera Hidalgo, the elected municipal president, Leticia Galindo Gamboa, from the PVEM, resigned as well. Ten women from the Green Party who should be made deputies in the local Congress through proportional representationalso resigned. 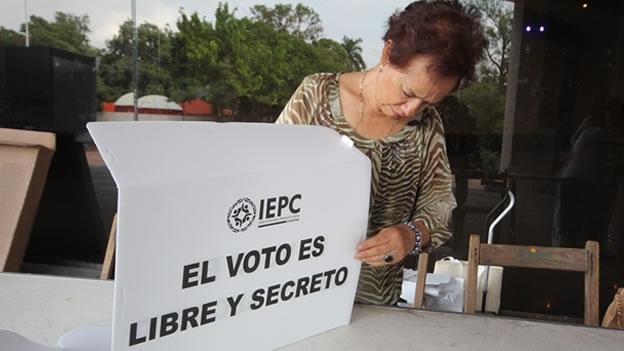 The IEPC explained that the electoral law has not been violated since, at the time, all the political parties “complied with the parity when registering their forms both for the local mayorships and the local deputies.” However, he clarified that “registering a woman and then compeling her to resign and replace her with a man ─ what are known as simulated candidacies ─, besides being political violence, could be a possible fraud to the law, and if it so, in no way will it be permited“. For his part, the presiding counselor of the National Electoral Institute (INE), Lorenzo Cordova, condemned the acts of political violence and stated that they would represent a regression in gender parity. He announced that on September 10, a commission of councilors of the INE will go to Chiapas to verify the situation and establish actions in the defense of women’s political rights. The governor of Chiapas, Manuel Velasco, instructed the Justice Prosecutor’s Office to investigate the situation: “I strongly condemn that the women elected in the July 1 elections could be renouncing their positions due to pressure or to be victims of political violence in order to resign”, he said. On April 20, the Movement in Defense of Life and Territory (MODEVITE) presented the Council of Spokesmen of the Community Government of Chilón, elected in 20 regions of the municipality through the System of Uses and Customs. He explained that this Council “will be spreading the word in our communities about this alternative organization that seeks to resist the system of election by political parties and recover the indigenous constitutional right to self-determination, through the election of the Municipal Authorities according to our Indigenous Normative System, which allows us to exercise our own mode of government “. More than 4000 people attended the event held in Bachajón “to ratify the path we have undertaken for several years, and through this demonstration, we tell the Mexican State and its Institutions that our organized struggle continues and that these Spokespeople will walk to unite and give more strength to our people ». The next day, the same thing was done in the neighboring municipality of Sitalá. The MODEVITE stressed that “without refreshments, food or passage fees more than a thousand people met with a single slogan” not only do we seek new leaders, but a different way of governing “». The MODEVITE explained that the more than 60 communities that filed the request with the Institute of Elections and Citizen Participation (IEPC) with more than 3,000 signatures of support, will be visited by the spokespersons and promoters of Community Government, “to continue building this different form of government despite the fact that until now the electoral institutions have not favored our request, as reported by the sentence of April 6 of this year, by the Electoral Court of the State of Chiapas. Therefore, the presentation of these comrades as well as the interposition of a new trial for the protection of political and electoral rights before the Regional Chamber of the Electoral Tribunal, is a visible argument that we wish to continue in our struggle, with more force and with the support of more and more sisters and brothers ». To demand the total suspension of the educational reforms and the presentation with life of the 43 detained or disappeared students from the Ayotzinapa Rural Normal School, together with the boycott of the elections on 7 June and 19 July, teachers from the National Coordination of Educational Workers (CNTE) marched on 2 June in the city of Tuxtla Gutiérrez. There they blockaded access to the local council of the National Electoral Institute (INE), removed books and voting cards, and burned them in front of the offices. Protestors also occupied 14 gas stations with the idea of liberating the gas for free to the population. 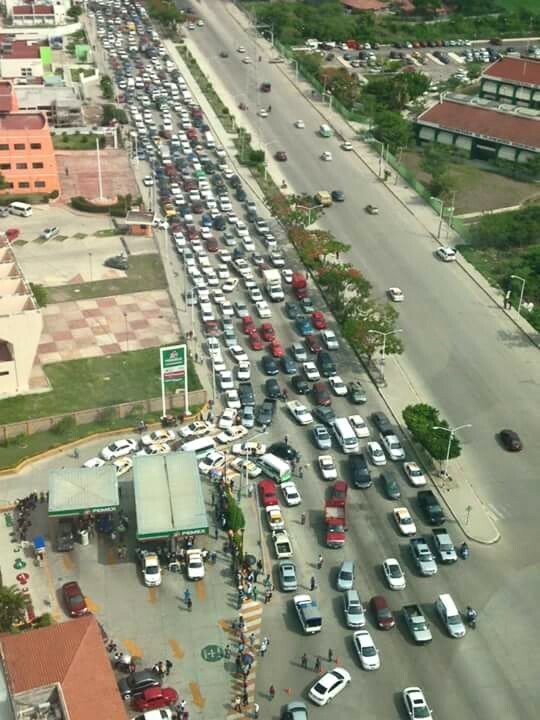 The gas-station owners then shut off the flow of gas, with the exception of one site, leading to long waiting lines. Beyond this, the protestors set fire to the offices of the Institute for Elections and Citizen Participation (IEPC). CNTE teachers announced that on 3 June, they will blockade the entrances to the capital city of Chiapas, thus inhibiting passage to freight trucks, carrying merchandise that will be distributed tot he population. There are already reports of the appropriation of Coca-Cola and Bimbo trucks. They reported as well that they would install themselves indefinitely outside the INE offices. In a comment provided for Chiapas Paralelo, Pedro Gómez Bámaca, the Chiapas CNTE state leader, affirmed the union’s total rejection of the electoral process and its candidates “because the political parties are not interested in us teachers or resolving social needs. Instead, they are interested in perpetuating the power of their representatives and groups.” Beyond this, they communicated their agreement to disallow the installation of electoral booths in the schools where CNTE members work. It bears stressing that the CNTE has announced that, despite the declaration of the Secretary for Public Security (SEP) to indefinitely suspend the testing of teachers, the electoral boycott will be maintained in 11 states, with protest-actions held in another 16. Indefinite strikes continue in Chiapas, Oaxaca, Guerrero, and Michoacán, with various episodes of burning of electoral cards and occupations of electoral offices.